Coloradans residing in border towns or rural areas often lack local safe and quality medical assistance. An immediate demand for adequate health care may necessitate lengthy travel to the nearest major city, leaving many Coloradans without easy access to emergency medical care. Coloradans requiring specialized treatment beyond primary care can also find themselves without a local option, and may face expensive travel to receive the care they require. In times of medical need, Coloradans should not suffer the additional burden of finding the nearest in-state specialist or health care provider if a closer physician in a neighboring state is willing to work in Colorado. This session, I am carrying a bill to provide another option for Coloradans in border or rural towns who lack local specialists or immediate medical access. My bill, HB 1047, brings Colorado into the Medical Licensure Compact—an existing agreement between twelve states—and grants physicians licensed in compact states expedited licenses to practice medicine in Colorado. Membership in the Compact provides Coloradans near the borders of Utah and Wyoming access to their physicians who choose to practice in the state of Colorado, while promoting tele-medicine and medical cooperation across state lines. Similar legislation is making its way through legislatures in Arizona, Kansas, Nebraska, and Oklahoma this year, and will greatly improve interstate access to health care within the region. The Compact provides a streamlined process for medical licensing for practicing physicians and creates a safe and reliable avenue for patients to receive care from the nearest physician, even outside of their immediate jurisdiction. The passage of my bill will join Colorado with a growing number of states across the nation seeking to strengthen and expand access to quality health care for those in rural and underserved areas. HB 1047 will help give rural Coloradans peace of mind and the knowledge that, should they need it, specialized medical care is a little closer to home. If you have thoughts on this issue or would like more information, please feel free to contact me. 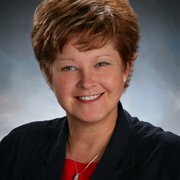 Thank you for taking the time to read our newsletter and you can keep up with all of our caucus updates by following us on Twitter and Instagram, liking us on Facebook or visiting www.coloradohousegop.com. 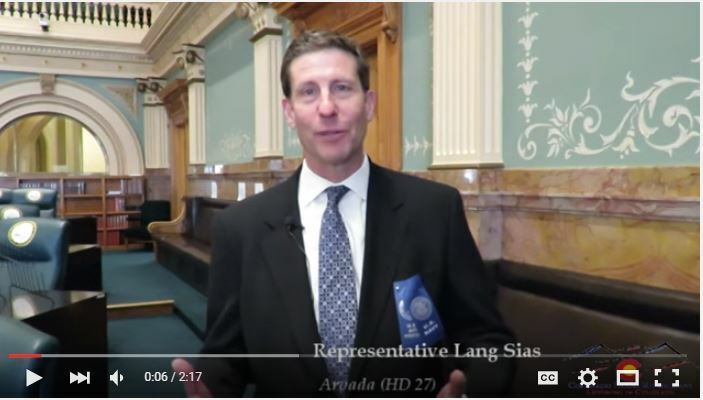 Representative Lang Sias (R-Arvada) gives a brief update on Military Appreciation Day, comments on legislation that failed to make it out of committee, and discusses some of his own legislative priorities--maximizing taxpayer dollars and increasing accountability. Veterans Caucus First meeting of the Veterans Caucus. Packed house . @RepKVW's bill to ensure Police & Firefighters receive proper compensation passed 64-1! Representative James Wilson (R-Salida), his wife Kristi Wilson, and intern Shane Sanford meet with Colorado Senator Cory Gardner. Representative Polly Lawrence (R-Roxborough Park) presents her bill, HB 1017 concerning DUI victim impact panels, which passed unanimously, to the House Judiciary Committee. Representative Tim Leonard (R-Evergreen) is sworn in to the House of Representatives. Representative Paul Lundeen (R-Monument) shows his support for school choice.